The use of reactive polymers enables manufacturers to make chemical changes at a late stage in the production process-these in turn cause changes in performance and properties. Material selection and control of the reaction are essential to acheive optimal performance. 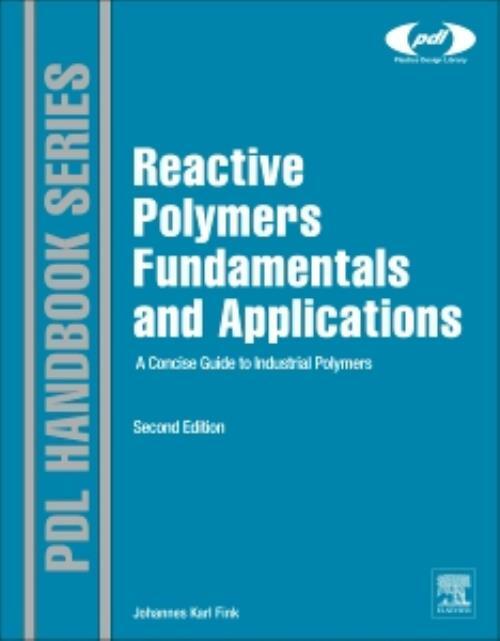 The second edition of Reactive Polymers Fundamentals and Applications introduces engineers and scientists to the range of reactive polymers available, explains the reactions that take place, and details applications and performance benefits. Basic principles and industrial processes are described for each class of reactive resin (thermoset), as well as additives, the curing process, and applications and uses. The initial chapters are devoted to individual resin types (e.g. epoxides, cyanacrylates, etc. ); followed by more general chapters on topics such as reactive extrusion and dental applications. Material new to this edition includes the most recent developments, applications and commercial products for each chemical class of thermosets, as well as sections on fabrication methods, reactive biopolymers, recycling of reactive polymers, and case studies. Injection molding of reactive polymers, radiation curing, thermosetting elastomers, and reactive extrusion equipment are all covered as well. Dr. Fink is a Professor of Macromolecular Chemistry at Montanuniversit Leoben, Austria.